German developers Elixxier Software have announced a cheaper version of their set.a.light 3D studio simulation program. 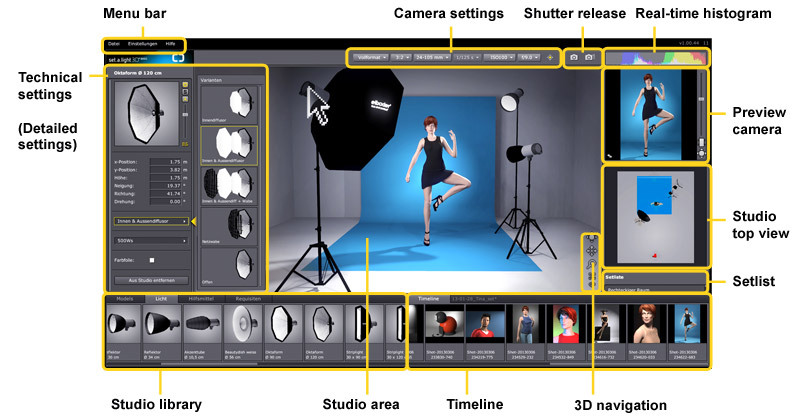 Photographers can use set.a.light software to experiment with lighting without heavy lifting, by rendering the effects of studio setups on digital mannequins. 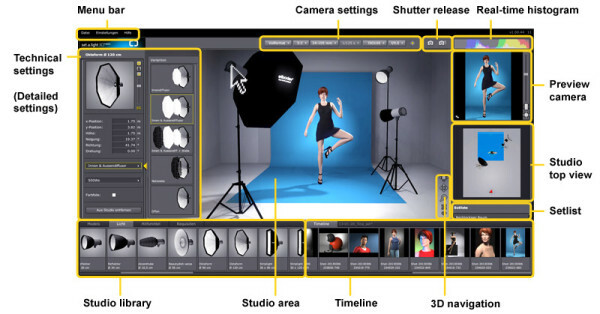 It makes setting up a photo-shoot quicker by providing users a tool to test ideas ahead of time and generate three-dimensional diagrams. 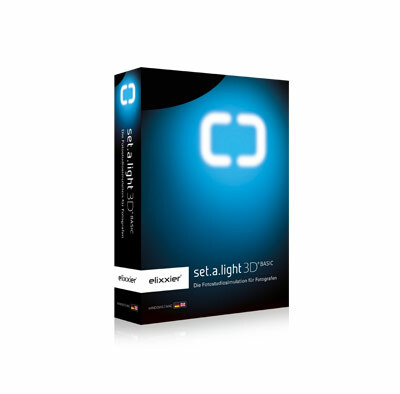 Set.a.light 3D BASIC performs the same tasks as the premium suite, but with a few restrictions, such as a limit on the size of virtual studio spaces and the number of lights that can be used at once, as well as watermarks on the output images. The lower cost of €39 could go some way to assuage critics’ fears that the original set.a.light 3D STUDIO suite, at €139.90, was overpriced. Both versions have also been updated with a revised light engine, a picture wall to fill with your own images, improved user controls, performance tweaks and French language integration. For more information and to buy digital copies of the software, or to try it out for free, visit elixxier.com.